produce to those in need. We grow organically using mostly hand-dug beds though we do occasionally use a BCS and do some tractor work. We have a demonstration area where other methods are used (ie; hugelkulture, square foot, etc.) This will be our tenth season. There will be two full-season interns (April - Oct), a garden manager and part-time assistant garden manager in training. Sometimes there are summer interns also. We believe in community building and being a space where everyone feels welcome and challenged. We do not sell produce but people can find our produce at the Fairview Welcome Table, Food for Fairview pantry, the Fairview Share Market and at Green Opportunities lunches. We offer both internships and volunteer positions on our farm. Our season-long apprenticeships generally run from March 25th (date flexible) to October 31st (date flexible). We work Monday thru Friday from roughly 7:00 a.m. to 12:00 p.m., Wednesday evenings 5:30 p.m. - 8:30 p.m., and will occasionally work a few hours on a weekend. We offer interns private, new but rustic bunk houses on site, a $400 per month stipend, hands-on and academic education, and produce from the garden. Our farm is a somewhat active member of the CRAFT network. Near by there are mountains, lakes, hiking, bouldering, mountain biking, camping, etc. Our farm is considered “rural” but is only 15 minutes from Asheville. We ask that internship applicants possess the ability to work physically while bending over (to accomplish tasks such as digging, tilthing, hoeing etc.). They should also have enough savings to stay the full term (March thru October), and their own insurance and transportation. We love to work with those who are self-starters and good at looking for what needs to be done next. The ability to work well with others and listen to others viewpoints is necessary, as well as having good communication skills. Apprentices should be eager to work towards true solutions to hunger and community issues. To inquire about internship opportunities, please contact Susan Sides (farm owner) by email between November and March or visit our website for further information. "At The Lord's Acre, an apprentice can expect to learn a lot about gardening, but also be engaged and challenged in community building. I would recommend this apprenticeship for those who are looking for a real learning experience and are ready to be socially invested in this wonderful community of folks." "The Lord's Acre was a wonderful place to spend my summer and I felt that even though going in with relatively little experience I learned so much and was guided so I never felt out of depth. It is a very close knit community, so not for people who just want something for their resume but for those who care about their work. I was a volunteer, so not compensated monetarily, though I did feel the education I received during the course of the summer was more than equal to the amount of work I put in." 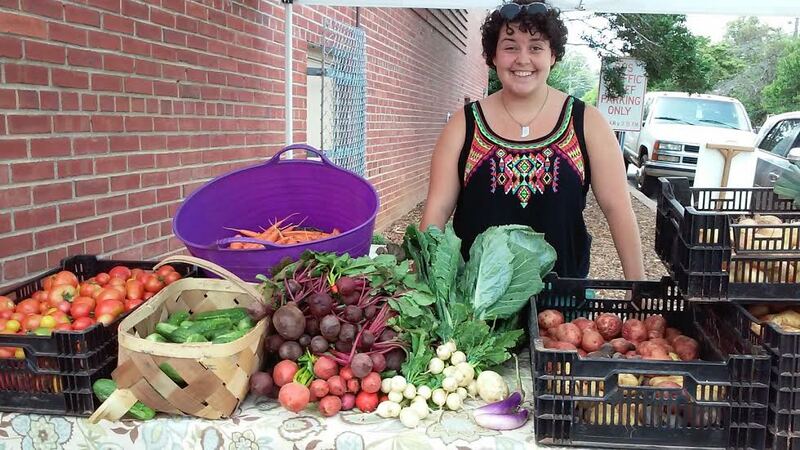 "Susan Sides is an excellent farmer, teacher, mentor and community member/organizer. At The Lord's Acre apprentices have the opportunity to learn all the necessary farming skills. Additionally, there are opportunities for learning about community food systems and network with those who are working together to address hunger and food insecurity. 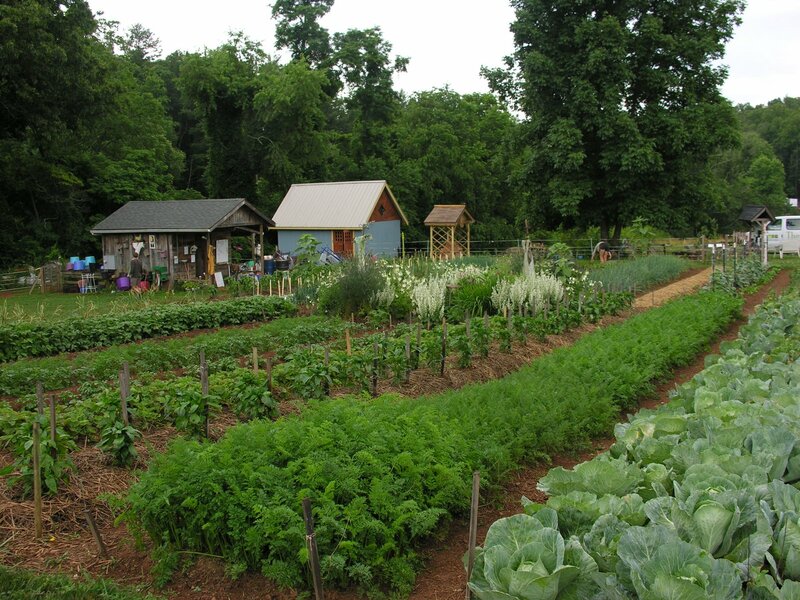 The garden is beautiful - a healthy and healing place to work and learn." Individuals and families can join us any Wednesday night between 6 and 8 p.m. during the growing season for regular volunteer nights. We host a spring square dance fundraiser in late May and sometimes other events throughout the year. Find out about our current offerings on our interest in food security issues and solutions website, or schedule a group visit by contacting us via email. "Fresh, high quality produce, organically grown. The Lord's Acre has a high commitment to sustainability and improving the land."